For a single night, MTSU students were taken back to the ‘90s thanks to the campus’ first 2017 homecoming event, “Skate Back to the ‘90s.” The event was held at the MTSU Campus Rec, and students were encouraged to sport throwback attire while skate around the basketball court, which was converted into a skating rink. 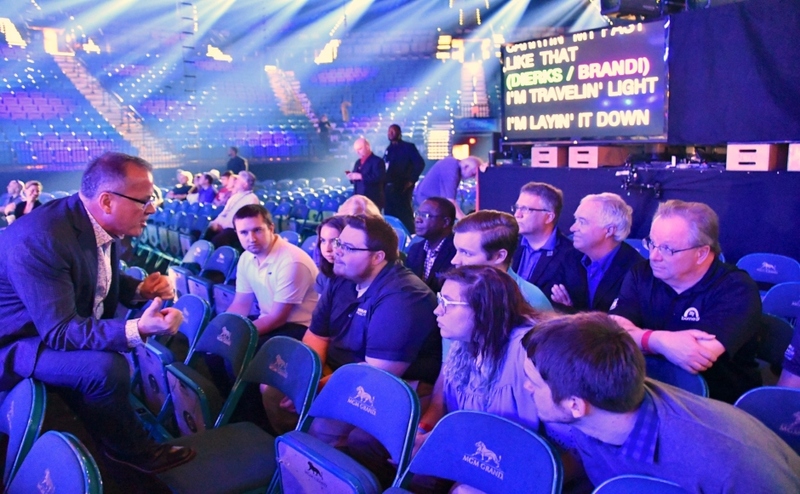 The room was appropriately designed to make one feel like they were visiting a rink back in the day. 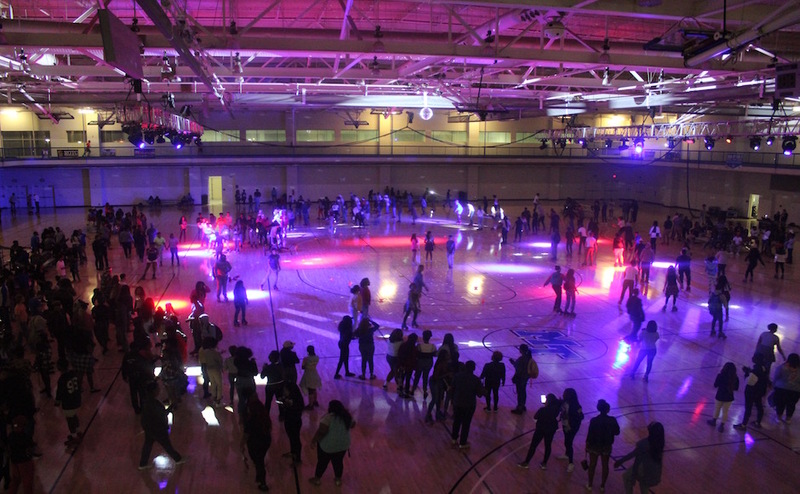 A disco ball hung from the ceiling, the lights were dimmed and the rink was enclosed by bleachers, which allowed skaters a rest. 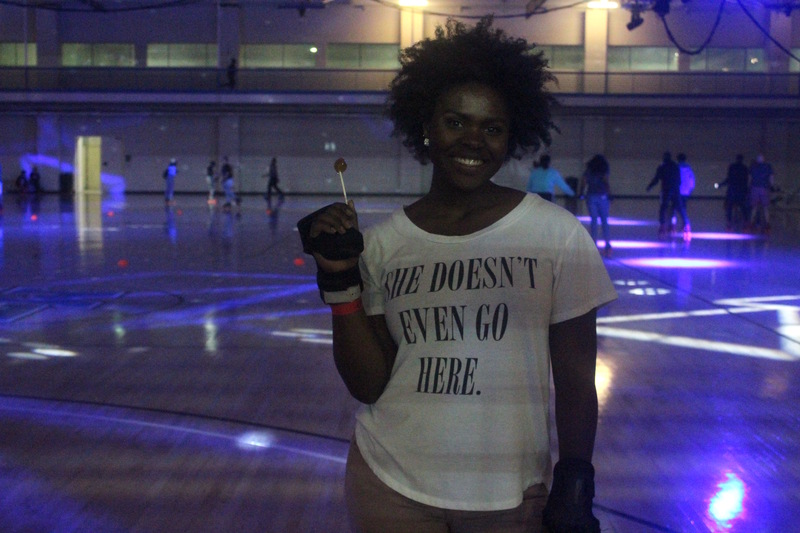 Skate Back to the ‘90s was organized by the MTSU Student Government Association. 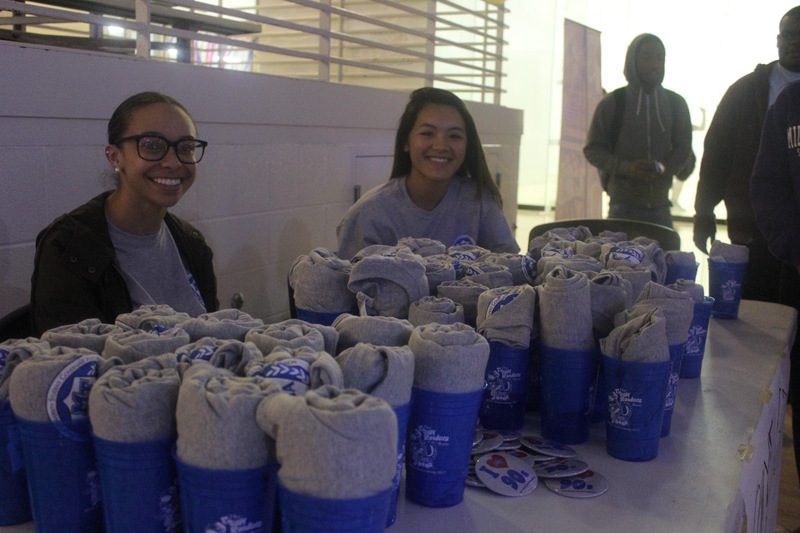 Makayla Elliott, a senator of basic applied sciences, volunteered at the event handing out T-shirts and cups to students. 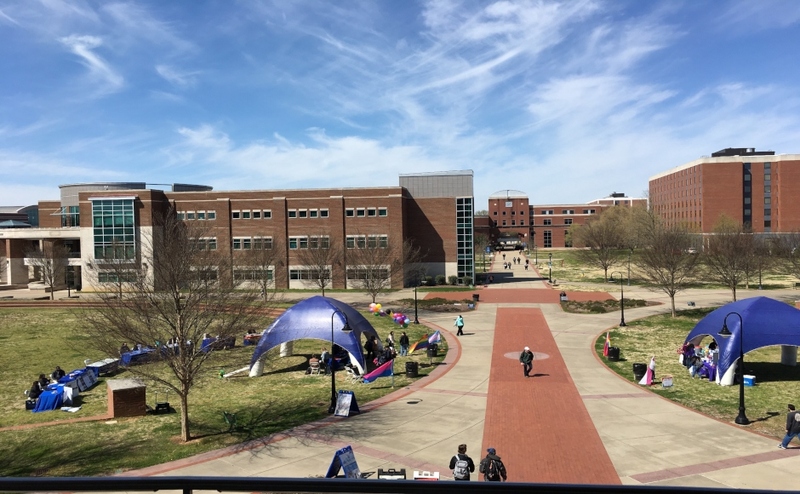 “This is the opening event for homecoming week and we organized this for students to enjoy and have fun,” Elliott said. 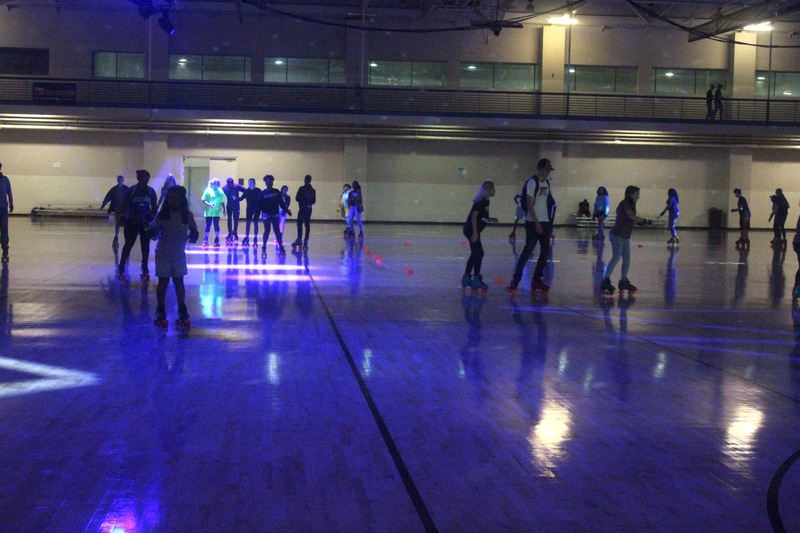 The skates were provided by Roller Rave, whose slogan is “We Rock You Roll!” MTSU students did just that; they rolled until the doors closed at 11 p.m.
Roller Rave is an international company that provides skates, safety gear and a DJ to places looking to host a roller skating party. 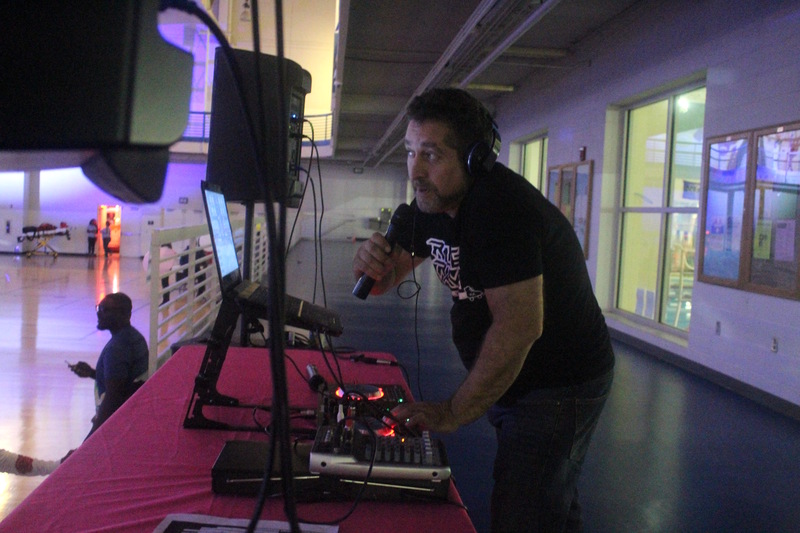 Robin Elleson, the Midwest manager of Roller Rave, was in charge of the event. 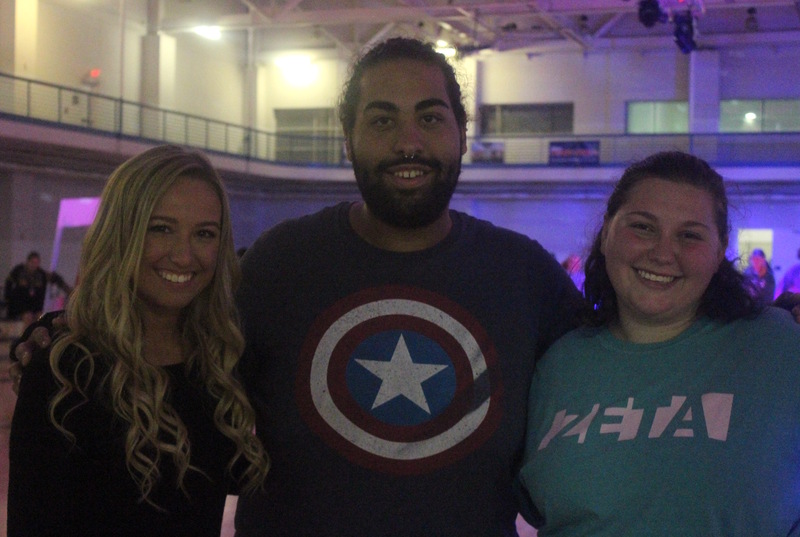 Former derby skater Amber Schulte, a sophomore majoring in information systems, was beyond ecstatic for this event. “I love skating and I love the ‘90s and (they’re combined) together so I know I’m going to have so much fun,” Schulte said. Schulte wasn’t the only one enjoying herself, though. 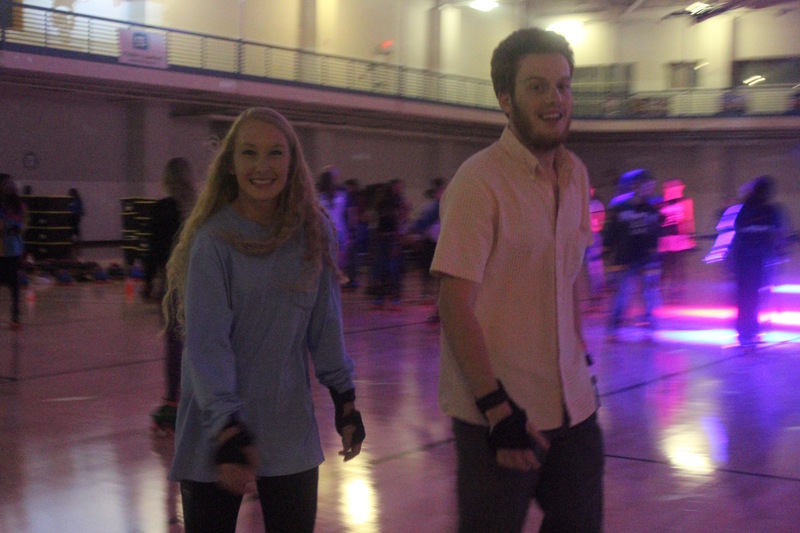 In fact, the rink was jam-packed with students at all times. 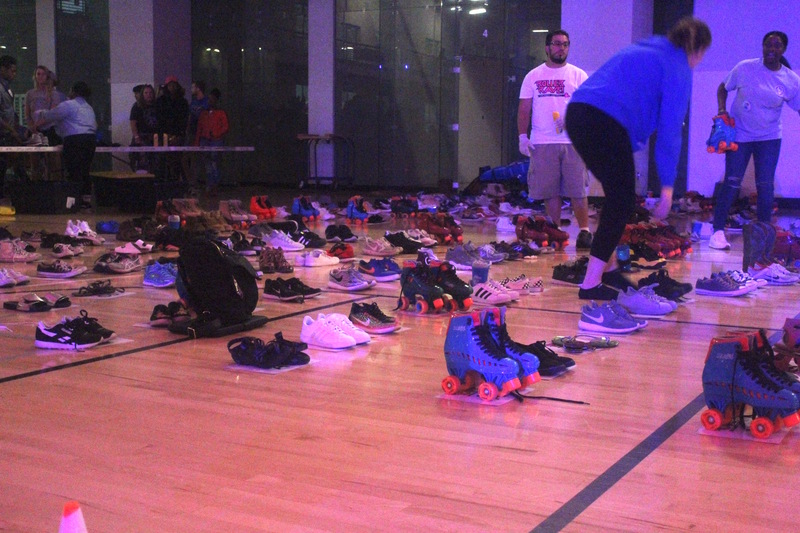 “We definitely could have provided a hundred more pairs of skates, and I don’t think that still would have been enough,” Elleson said. 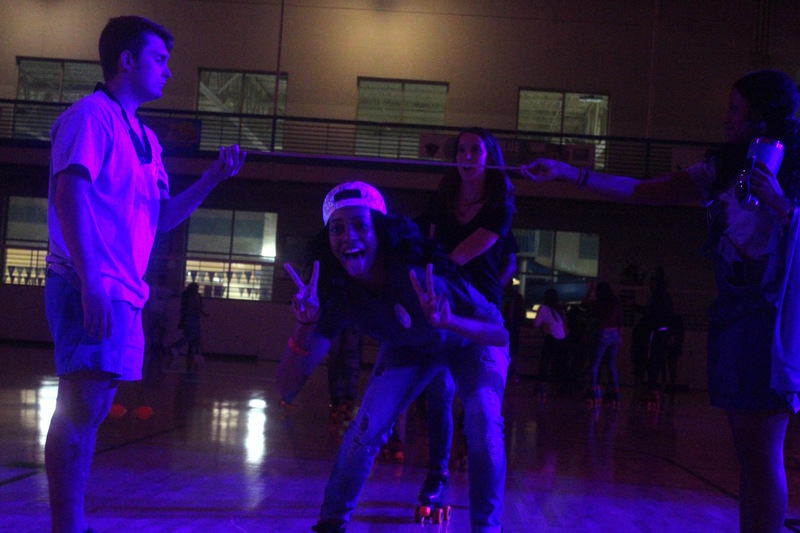 Skate Back to the ‘90s also provided limbo contests, a speed skating contest, a best dressed contest, a photo booth and an Instagram photo board for all students to use. 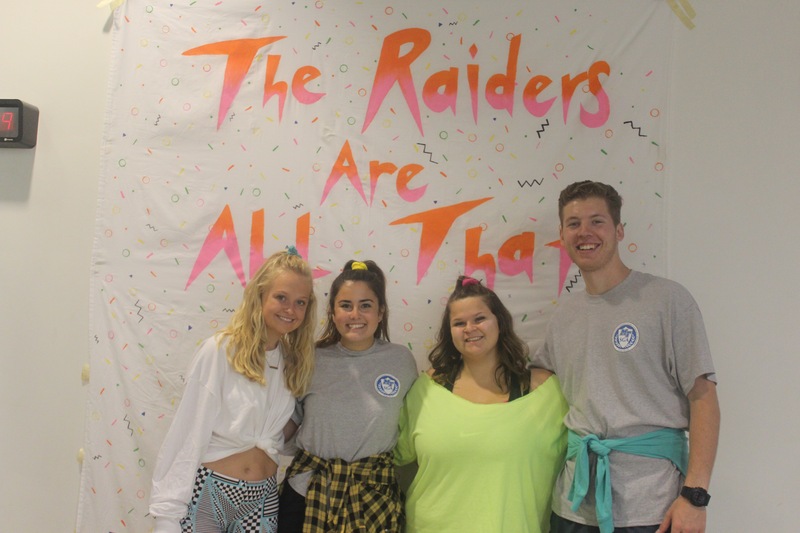 If anything, the event showed how much students are looking forward to the rest of homecoming week. 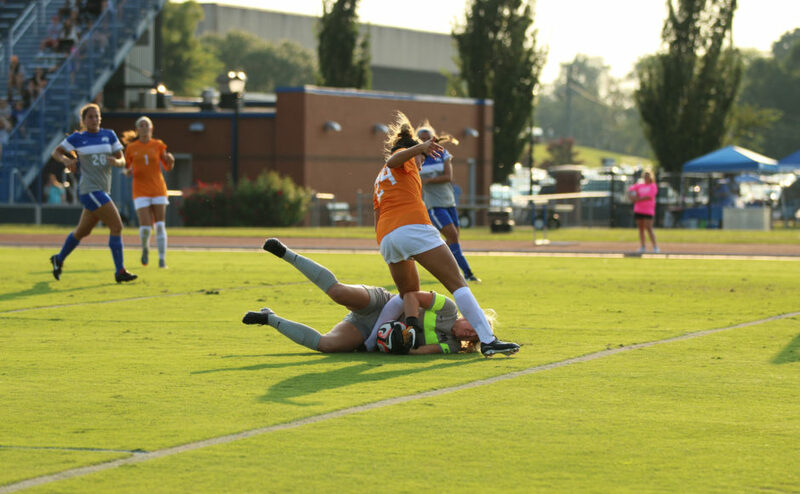 For more homecoming coverage, click here.